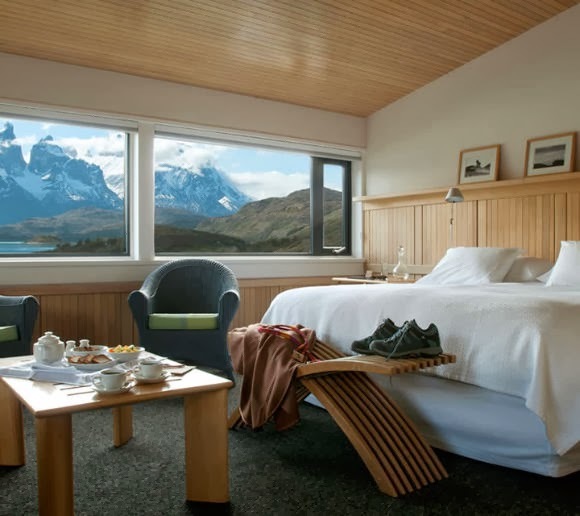 The Salto Chico Lodge is located right at the heart of the extraordinary Torres del Paine National Park in central Patagonia. The varied and untouched landscapes of this area led UNESCO to declare it a biosphere reserve. 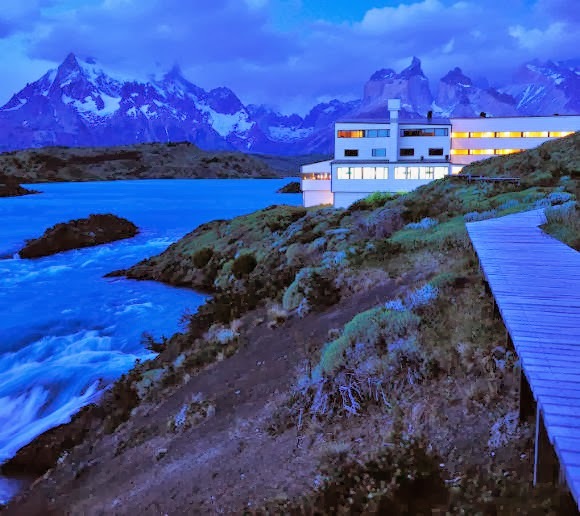 The Patagonia hotel lodge opened in 1993 on the banks of the Salto Chico waterfall. 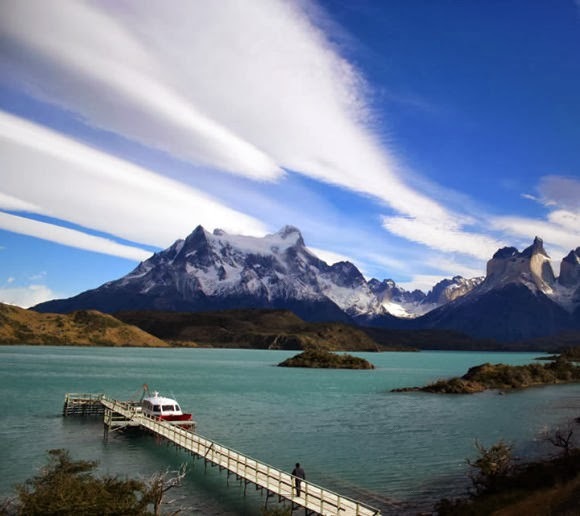 It affords an excellent view of the unique Paine Massif and two of the three impressive torres, or towers, which give the park its name. The lodge has 49 rooms and a variety of inviting spaces adopting a design which borrows certain organic forms from the landscape itself, thus blending to it with simple elegance. It was designed to create a dialogue with its environment, putting human beings in touch with the sublimity of their surroundings. 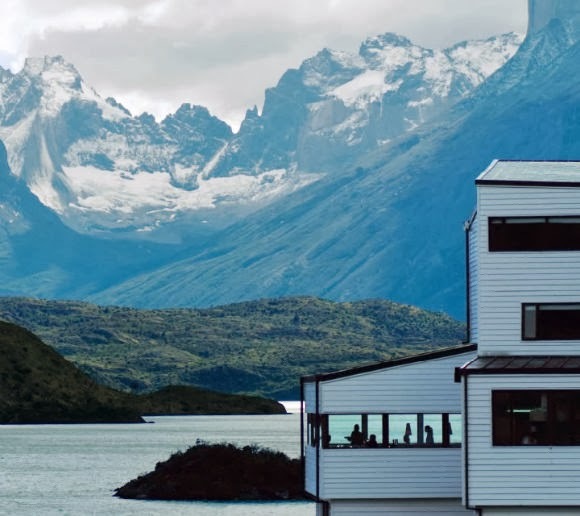 For Patagonia travel, the lodge provides the welcome surprise of comfort in a remote area; nonetheless, you are not isolated from nature, but placed “within” it. The hotel was designed by the architect José Cruz Ovalle ; an architect, who has studied and worked in Chile and Spain, has created a substantial portfolio of award-winning work. José Cruz Ovalle is the highly regarded master architect behind the innovative and architecturally stunning explora hotels Patagonia explora (2005), Hotel Rapa Nui explora (2007) and most recently, the interior renovation of explora Atacama Hotel de Larache. You can walk around the perimeter of Hotel Salto Chico, following the "orbit" or revolving space built into the design. Thus, the interior and exterior accompany one another and enter into a dialogue at the access to the rooms. 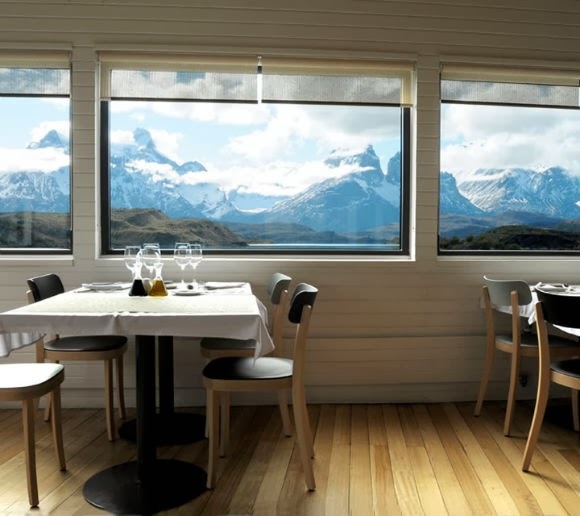 The traveler can simultaneously view both the interior of the lodge and the surrounding landscape. 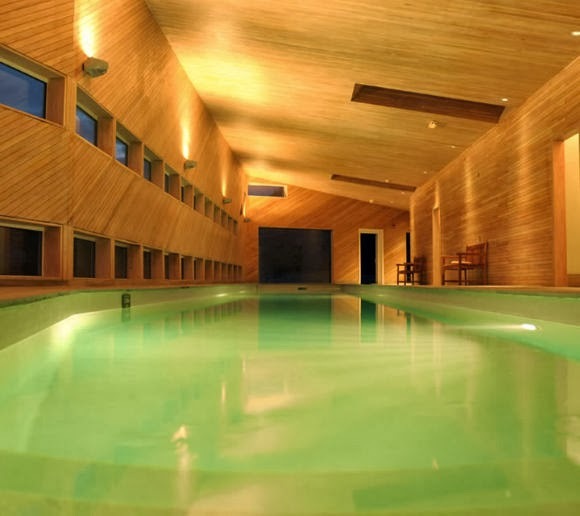 Apart from the main section of the building is the swimming pool area with jacuzzis and sauna - the “Casa de Baños del Ona”, or Ona Bath House– which can be reached via sloping wooden walkways. The swimming pool and jacuzzis are at the same level as Lake Pehoé, providing a continuous view of the water. The outside of this building is painted the same emerald green color as the lake.